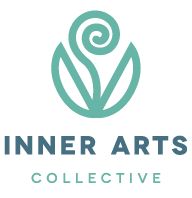 As a hub of professionals committed to helping others thrive, The Inner Arts Collective is an amazing community to connect with a wide range of support, be it physical, mental, emotional, spiritual. We also provide educational events, practitioner meet-and-greets, and self-development resources. For information about our members and the services they offer, or to book an appointment, please visit the Members section of the website. We have also creating an "issues index", to help with the search for an appropriate service by issue type. This field includes the ancient forms of treatment, which have been practiced for centuries worldwide, many of which have become fairly mainstream today. Healing by touch is based on the idea that illness or injury in one area of the body can affect all parts of the body. With manual manipulation, the body can fully focus on healing at the site of injury or illness, and ultimately be brought back to optimum health. This category also uses techniques that “read” the body as a form of assessment ​or ​diagnosis. Nutritional excess and deficiency have become problems in today's society, both leading to certain chronic diseases. Many dietary and herbal approaches attempt to balance the body's nutritional well-being, to optimize the body’s ability to fight disease, reduce pain and inflammation, balance mood, and increase self-esteem. Dialogue is a tool for working through challenging life situations and finding the clarity and support to cope, set and achieve goals, uncover the root of an unhealthy behaviour, and create new patterns. These modalities work with the energy within and around an individual, which directly affect a their physical, mental, emotional, and spiritual well-being. Even standard or conventional medicine recognizes the power of the connection between mind and body. Studies have found that people heal better if they have good emotional and mental health. Some modalities use objects and/or intuition to gain insight about a situation or condition. Many modalities work with the senses (touch, sight, hearing, smell, and taste), to assess the individual’s situation, understand and process unhealthy patterns, and restore healthy patterns to improve one’s health and well-being. Some modalities may also use the senses as a form of assessment or divination.